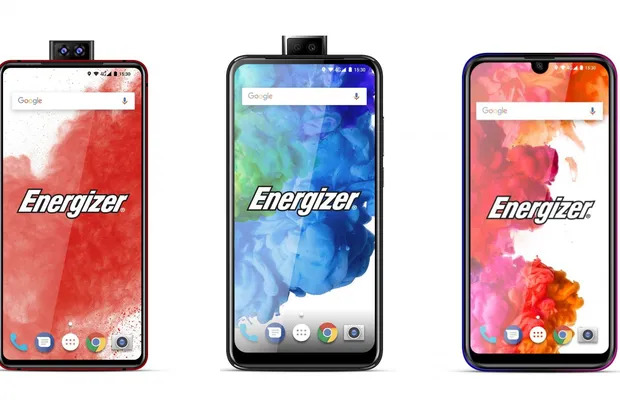 As if the simple fact that Energizer sells smartphones wasn’t surprising enough, the company is unveiling 26 new models at Mobile World Congress this year, with flagship features like pop-up cameras, a massive 18,000mAh battery, and a foldable display. And before you get any ideas, just know that these are all separate phones (though a phone with all three of these features would truly be a sight to behold). In fact, the silhouettes of the pop-up camera models make the phones look like giant batteries, which is weirdly appropriate.